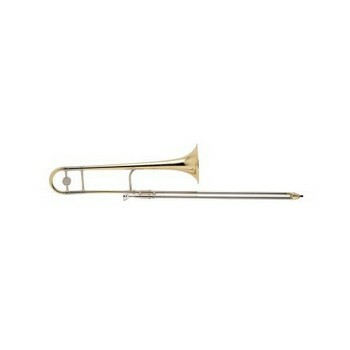 The King 2102 "2B" is a classic jazz trombone design. It features a .481"/.491" dual bore handslide for excellent projection and clear upper range with a 7-3/8" professional yellow brass bell that offers a quick response with a subtle brilliance. The chrome plated nickel silver inner handslide tubes provide the ideal surface for smooth and quick handslide action while the lightweight nickel outer handslide provides a light and quick response. The clear lacquer finish adds a subtle warmth overall. King small bore straight tenor trombones have set the standard in jazz for generations. Available in silver-plate finish as model 2102SP.